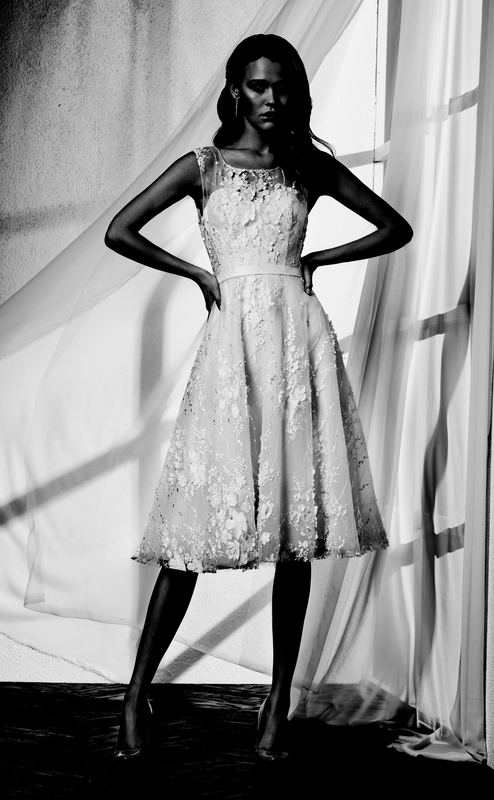 A unique knee length bridal gown made from lightweight jersey lace fully covered in amazing patterned appliqués. This dress features sleeveless scoop neck bodice, godet skirt, and small belt. This dress is really comfortable to wear.